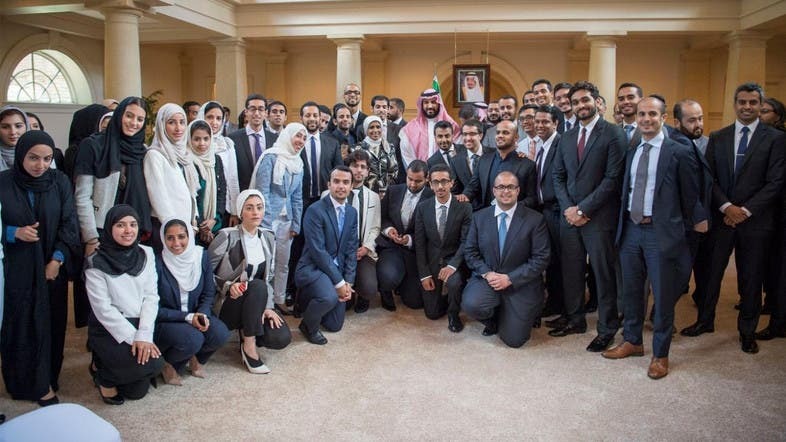 Saudi Deputy Crown Prince Mohammed Bin Salman, second deputy premier and minister of defense, met at his residence in Washington on Friday with a number of outstanding Saudi students in American universities. Prince Abdullah Bin Faisal Bin Turki, Saudi Arabia’s ambassador to the US, attended the meeting, Saudi Press Agency (SPA) reported. The Deputy Crown Prince expressed his happiness on meeting outstanding Saudi students and expressed his hope that they would return to Saudi Arabia with enhanced knowledge to serve their nation. Prince Mohammed said that all — whether students, officials, thinkers or businessmen — have a task to carry out in all the sectors in order to build and develop the nation and represent it honorably. Meanwhile, Dr. Muhammad Al-Isa, the Kingdom’s cultural attaché, expressed thanks to Saudi King Salman for including Saudi students studying at their expense in the scholarship program, provided they fulfill the conditions. He briefed the Deputy Crown Prince on the students and their studies in the US. Commemorative photographs were taken of the Deputy Crown Prince with the students. This article was first published by the Saudi Gazette on June 18, 2016.